This nativity magnet set is great fun for kids of all ages to learn about the birth of our Savior, Jesus Christ. They make perfect stocking stuffers or Christmas gifts. 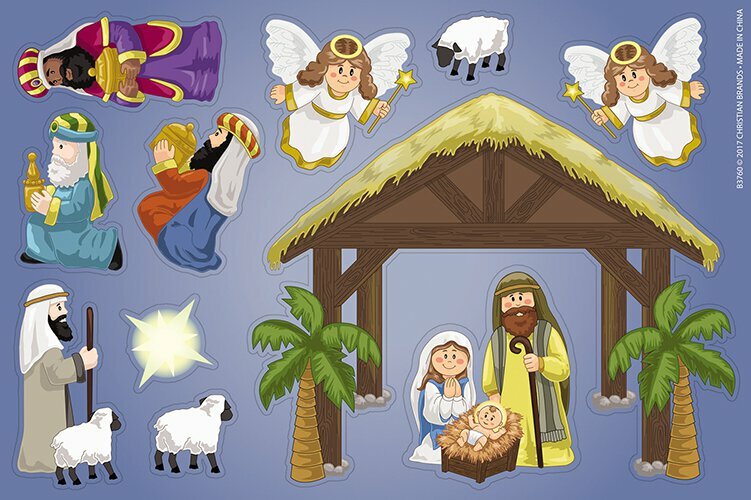 Each magnet set comes on a lift out sheet and includes 11 pieces for recreating a full nativity scene.